Are you competing in any fitness events this month? Here’s our top five to get involved in! Organisers of the event are expecting over 1,000 cyclists as popularity in the event and the sport has grown over the years. Starting and finishing at Al Zorah Marina 1, full road closures will be in place and the exciting cycling routes will make their way through the centre of Ajman. In addition to the longer route, Ride Ajman will also feature a dedicated 58km and 115km UAE National Development Race for UAE nationals to spark interest and participation. 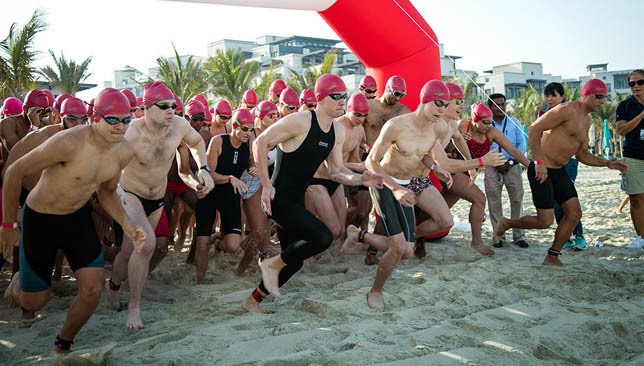 The Dubai Holding Burj Al Arab Swim is back for its 15th year, where up to 900 swimmers are preparing for a 1,600 meter open water swim in the Arabian Gulf – all in aid of a good cause. Organised by Wild Wadi in partnership with Jumeirah Group, all funds raised at the event will be donated to Al Jalila Foundation to support obesity research. One of the most popular races in the UAE’s running calendar is back to offer athletes another chance to take part this month. Since its first run back in February 2012, the Dubai Desert Road Run has steadily grown to hold races several times throughout the year, bringing together some of the best in the region’s running community. Three distances are on offer, 10 kilometre, 5km and 3km races that will be run on private roads on a safe, traffic-free course. The race, held at The Sevens, will kick-off at the village area between Pitch 1 and Pitch 8 before concluding between the village area and Pitch 5. 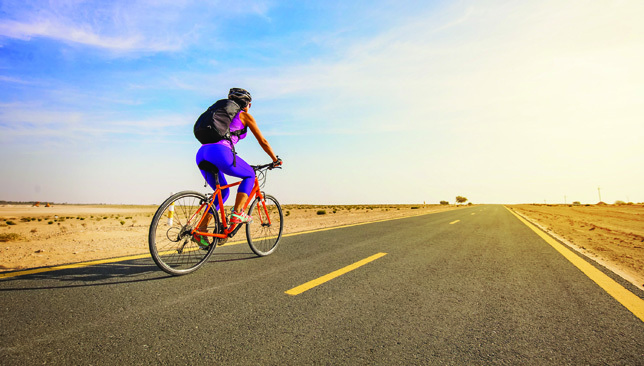 The Al Marmoom Women’s Cycling Challenge – the region’s first cycle race dedicated to women – will take place inside the Al Marmoom Desert Conservation Reserve. Participants can register as individuals or teams. Individual categories will be divided into the following age groups; Under 13 years, 13-15 years, 16-19, 20-39, 40-49 and 50-plus. The team competition, meanwhile, will take place in three categories: Teams of four plus are encouraged in the kids, juniors and adults categories. There are three distances offered: 10 kms for kids under 13 years, 20kms for juniors 13-15 years, 20 kms adults over 16 years and 50 kms for adults over 16 years. One of the toughest and most enjoyable races in the region, the Urban-Ultra Wadi Racer, is set to return for a six year and will take place in the stunning mountains at Wadi Showka. The fully supported single-stage race, which features a choice of 30 kilometre, 20km and 10km distances to entrants, will see you navigate through rocky terrain and over the spectacular mount passes. This is a race not to be missed. Isn’t it about time you upgraded your footwear? 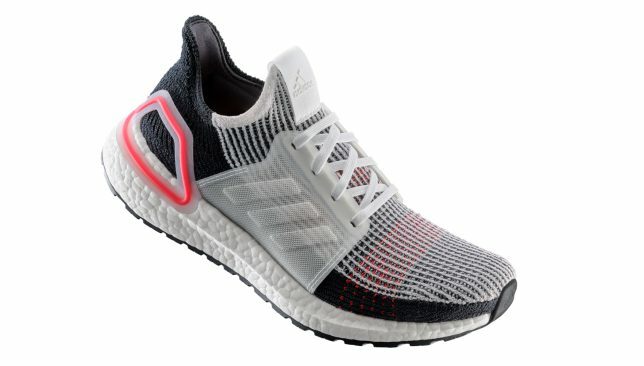 What better way with the bright, vibrant and super lightweight Ultraboost from Adidas. Floaty, but functional, and available in six colourways, they are one of the must-have shoes this season. Hafthor Bjornsson's diet: Can we tackle what The Mountain eats in a week? When it comes to a challenge, I am rarely one to back down especially when there is food involved. This one seemed pretty simple – eat like Hafthor Bjornsson for a week. The current Arnold Strongman champion, World’s Ultimate Strongman, World’s Strongest Man, and Europe’s Strongest Man – is also known as The Mountain on Game of Thrones, and never before has a moniker been so appropriate. At six foot nine inches tall, and tipping the scales at around 200kg, he is a beast of a man – with an appetite to match. The Icelander is currently in Dubai for the launch of the World’s Ultimate Strongman incubator program – a new project taking strength athletes with potential and helping them on the way to competing on a world level. 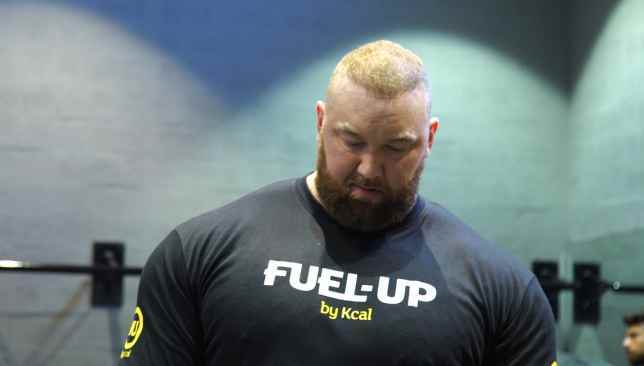 While in the UAE, Hafthor is being fed by the Fuel Up by Kcal team – and they have their work cut out. Each day he eats six meals – three comprising of 200g tenderloin steak, 200g of mashed sweet potato, and 100g of a carrot/pepper mix. The other three meals are 200g of minced ribeye, 200g of white rice, and 100g of carrot/pepper mix. That’s 3kg of food. Without his breakfast, bone broth, and all the other bits and pieces the go into fueling the strongest man on the planet on a daily basis. It’s only when the food is sat in front of you the enormity of the undertaking hits home. This is a HUGE amount of fuel to consume – especially for someone half Hafthor’s weight. My approach would be simple. Eat one meal every three hours – starting at 08:00 and finishing up at 23:00. Easy. For the first few days it wasn’t too bad. I was able to stick to my timing pattern, and although it was a lot to consume, it seemed the more I ate, the more I was able to eat. For days two and three it was the weekend, so I could eat, train, relax – this was exactly how I imagined things. I felt ‘full’, and strong. Then day four hit. Back in the office my timing routine went out of the window. I found myself playing catch-up to try and get the food down over the remainder of the day. I was now starting to feel sluggish. I had noticed my sleeping pattern was not what it normally is – purely because I was eating so late and going to bed on a very full stomach. I could feel the lethargy hitting. Training that night was a chore. Despite feeling strong, my energy levels were low, and I felt fit to burst. Two more meals after training, about 21:00 onwards, needed mouthfuls of water to gulp down. I have heard strongmen talking about force feeding to get all their food down on a given day – and now I was experiencing it firsthand. Food for me is always something I look forward to, but the routine nature of having to eat at certain times took all the enjoyment out of it. I have to say, the Fuel Up team make a great job of the meals. They taste excellent, I was nervous of the monotony being tough but the meat has a pretty good fat content which provides plenty of flavour. Hafthor is known for adding bone broth to his meals to form a ‘monster mash’, but I was more than happy eating them as they are. After my day-four wobble, the remainder of the week passed off with little incident. Timing was key, and if I could keep on schedule getting the food down wasn’t too bad. The thing that kept hitting me was the change in sleep quality, and also that sluggish feeling in the day. I’m not one for coffee or energy drinks, so it was tough feeling on top form. But all this should be expected – I was eating roughly double the calories I normally would – getting close to 6000 a day. This is not a normal thing to do. For those looking to bulk, never would you increase calories in this way, it would be a much more incremental process – any my body didn’t like it. Amazingly after eating 21kg of food in seven days, I only put on 1kg. I was tempted to up my cardio to try and mitigate the calorie intake but didn’t so that’s a true figure on my regular weekly training schedule – I lifted on five of the seven days. The thing that really hit home was these guys do this every day of their lives. It’s as important as their training and sleep – and you have to take your hat off to them. If I could eat breakfast, plus three of the meals I think it would be optimum for my size and training – but with Hafthor, you’re feeding a completely different animal, and didn’t I know it.